Sophia Krzys Acord took up the position of Associate Director of the Center for the Humanities and the Public Sphere in August 2010. Prior to coming to UF, she was a Specialist Researcher at the Center for Studies in Higher Education (CSHE), University of California, Berkeley, where she worked on the Andrew W. Mellon Foundation-funded Future of Scholarly Communication Project. 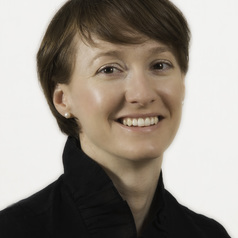 At CSHE, Dr. Acord conducted qualitative research in scholarly communication and publication behavior, scholarly reward systems, research support services, interdisciplinary collaboration, public engagement, online textbooks and open educational resources, and the meaning and locus of peer review for publication. Dr. Acord has also provided consultancy services in the areas of digital libraries, graduate student training, online learning, and humanities research centers. Dr. Acord holds a Ph.D. in Sociology from the University of Exeter, U.K., from which her dissertation was awarded an "Honorable Mention" from the 2010 American Sociological Association's Dissertation Award committee. She also holds an M.Res. (Masters of Research Methodology), also from the University of Exeter, and a B.A. in Sociology & Anthropology (minor in Interpretation Theory) from Swarthmore College. Her research examines the production of knowledge in the arts and humanities, and she has published work in cultural sociology, the sociology of the arts, museum studies, qualitative research methods, and mobile technologies.